What's in Store for the Apple Watch 2? How much better will the Apple Watch 2 be than its predecessor? 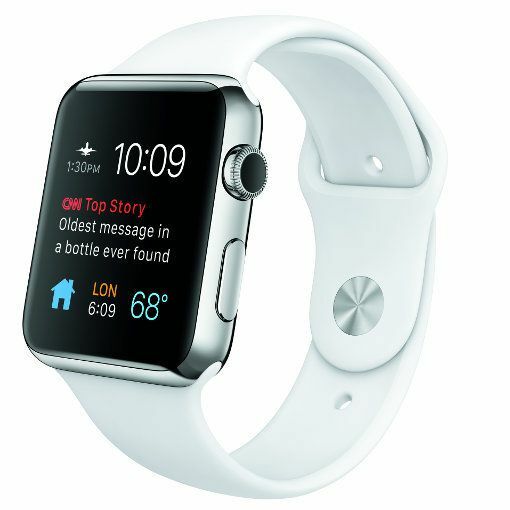 Although the new smartwatch isn't rumored to be announced until March 2016, Apple fans are already buzzing. We've rounded up the most well-founded rumors about Apple’s upcoming smartwatch to give you an idea of what you can expect the next-gen smartwatch to be. If you’re looking forward to a round Apple Watch 2 that looks like an ordinary, disc-shaped wristwatch, don’t get your hopes up too high. Circulating rumors suggest the Apple Watch 2 will bear the same screen shape, size and resolution as the first Apple Watch — a rectangular face with either a 1.32-inch screen and 272 x 340 resolution or a 1.5-inch screen with 312 x 390 resolution. But the word is that Apple may slap on a thinner screen to make room for a bigger battery, which of course translates to longer use time, hopefully covering more hours on a single charge. For sure, the new Apple Watch 2 will be running at least Apple watchOS 2, endowing the watch with upgraded OS features such as native app support (which translates to better-performing apps), better Siri (able to control HomeKit, Maps and Glances), new watch faces and more customization, Time Travel and more. The Apple Watch 2 might debut an improved incarnation of watchOS 2. Another possible improvement being floated among fans is new wireless technology that will enable the watch to function even without being paired with an iPhone. The current Apple Watch's basic communication functions such as text messaging, emailing, weather updates and the like do not work without a paired iPhone. A new and improved wireless chip just might solve the problem, also coming in handy helping users recover their lost Apple Watches by using Wi-Fi to triangulate their locations. Talk of a built-in video camera is also creating a buzz in tech circles. It will supposedly sit along the top bezel — really handy for FaceTime chat sessions. Apple will also reportedly expand the number of Apple Watch models. Currently, the Apple Watch offers the Sport model (aluminum case), the Watch model (stainless steel case) and the Watch Edition (gold case). There is no clear indication on what the new models will be and how each will differ, but talk around the Web points to new case materials: titanium, platinum, tungsten, palladium or liquidmetal — quite a lot to choose from. Can't wait for the Apple Watch 2, which is expected to ship in April 2016? There are plenty of cheaper alternatives to the Apple Watch.